Public transportation is a vital service that may be society’s answer to pollution and traffic problems. Georgetown, Vaughan and Richmond Hill have several major companies providing public transportation services to residents of our province. However, with countless people using public transit on a daily basis, accidents are unfortunately a common occurrence. When it comes to injuries sustained on public transit property and vehicles, the claim process is fairly complex, leaving misinformed victims unsure of what their rights are. Because the claim process is typically comprised of several components, having an experienced personal injury lawyer is very important when making an injury claim against a public transportation provider. Our legal team at RPC Law has the necessary experience and resources to successfully pursue a claim against public transportation operators, and has recovered millions of dollars for injured transit riders. Companies such as the TTC and GO Transit employ entire legal teams that fight injury claims. This is why having an experienced legal team of your own makes all the difference. There may be time limits as well as other factors that can prevent you from filing a claim in the future. If you were injured while using public transportation, you deserve to be compensated for your injuries. The experts at RPC Law have successfully represented victims of public transportation accidents from all over Ontario and have recovered millions in compensation for victims and their families. 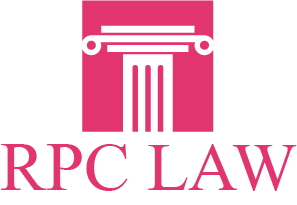 Contact RPC Law today for a free, no obligation consultation, and put our professional legal team in your corner. We will ensure that you are treated fairly and receive all of the compensation to which you are entitled. Don’t suffer in silence. Call RPC Law in Vaughan, Georgetown or Richmond Hill now, and put the top team of personal injury lawyers on the case. We will ensure that justice is served.